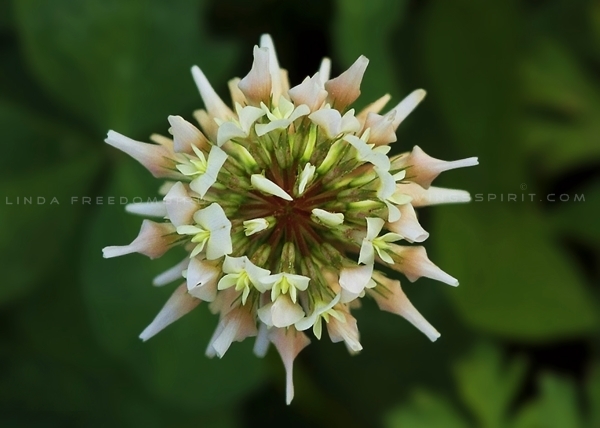 White Clover (Trifolium repens), or Dutch Clover. Flowers are 6 - 13 mm long and bloom in spring and summer. I just found out that this species is considered to be a beneficial component of natural or organic lawn care due to its ability to fix nitrogen and out compete lawn weeds. Natural nitrogen fixing reduces leaching from the soil and can reduce the incidence of some lawn diseases that are enhanced by the availability of synthetic fertilizer. 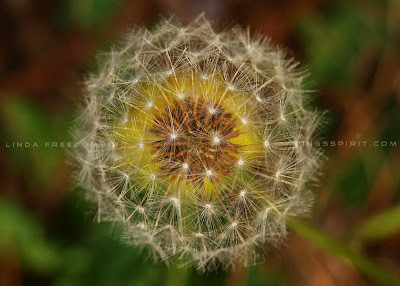 I knew Dandelions were great to look at, but I never knew they could be that important to a lawn or garden. I guess I have to plant more of them at home soon.